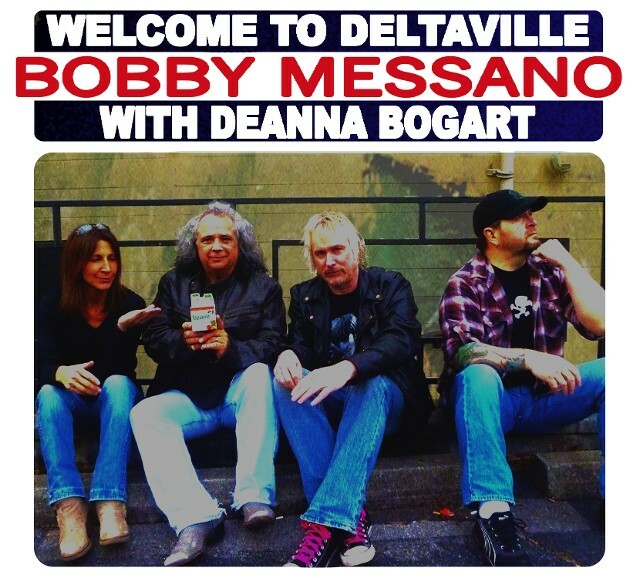 ALBUM REVIEW: Bobby Messano, "Welcome To Deltaville"
Ridgefield Park, New Jersey native (and current Nashville resident) Bobby Messano steps up to the front of the line with his newest release on Marty Scott’s JEM Recordings, Welcome To Deltaville. 10 slices of heavy blues that definitely make their mark. A curious comparison, which I can’t help but make – or observe here – is the album cover immediately reminded me of “Bluesbreakers – John Mayall With Eric Clapton”, the now-classic 1965 must-have for every burgeoning guitarist. I thought “coincidence” but this album opens up with “All Your Love” which is, indeed, the aforementioned’s lead off track and done with the same intensity as the Mayall/Clapton version, sans keyboards as the foundation – this is stripped down guitar, bass, drums and sax (courtesy of the name-checked Deanna Bogart). This one track alone will give you a clear scope of Messano’s guitar firepower. “The Invisible Man”, one of 6 originals (the other 6 are covers) is a solid groove and has some great Hammond B-3 touches. The guitar solos are rich and flow with the song’s structure (which isn’t always the case with guitar “showcases”); Messano knows how to make the notes howl along with the melody and his vocals. Amongst the album’s highlights are his version of Santo and Johnny’s classic 1950’s single, “Sleepwalk” and the closing track, a meaty rendition of Traffic’s “Low Spark Of High Heeled Boys”. A well done slab of varied blues. Played with heat, subtlety and skill – everything you could want to match the passion of the delivery to the songs. Bobby Messano is on tour for the entire year – don’t miss a chance to see and hear him. And grab a copy of Welcome To Deltaville. You can thank me later.